Summary: This service comes across as incomplete, with some familiar connections and associations that make it less than ideal. Today I’m looking at a new managed account service that’s promising traders a 160% monthly return on investment, Samba Binary Options. This type of return is astronomical, and very difficult to believe. Hopefully the vendor provides us with some actual results to verify such a large number, but I certainly have my doubts right out of the gate. The developers of the software are Paulo Santos, Nick Roach and Mitch Skolnik. Their offices are located at Rue Arsene Houssaye, 75008, Paris. All 3 of these developers have a very short history in the binary options market, and it’s all associated with another managed account service that I reviewed in late March. I’ll get to this in a minute. To contact support, traders are required to fill out the contact form on the sales page. This managed account service promises 180 trades per month, a monthly return on investment of 160% and “778% accuracy trades,” whatever that means. In order to get access to the Samba Binary Options managed account service traders have to register with one of 4 separate brokers, Omenda, CTOption, Finpari or BinaryMate. The service itself consists of both auto trading and trading signals that are supposedly generated by professional traders. In the about us page, we are introduced to a handful of different traders that are proficient at technical analysis, fundamental analysis and price action. Yet, if you look closely you will see that this page is replicated exactly from the Mambo Investments managed account service. This wouldn’t be an issue, except that the mambo service didn’t fare very well in the binary options market, and it looks like this is by the exact same traders. 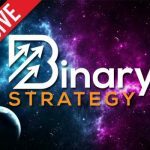 It’s really difficult to believe any of the results on the Samba Binary Options web-site. The guarantee of a monthly return of 160% is absurd. Not only is it unrealistic, but it’s just unfathomable. There isn’t a broker in the binary options market that would allow that automated service like this to win at such a high rate. Despite the promises of winning percentages, the only results provided can be found on the Samba Binary Options Facebook page. Every couple of days they show us a handful of trades in screenshot form. If you look closely at the results, it appears that they quickly place 5 to 10 trades at the exact same time on a daily basis. This doesn’t come across as a very strong strategy, and is likely just a means to quickly have results available for their Facebook group. There is nothing about these results that make me any more confident in the service. Personally, I have zero faith in any binary options managed account at this point in time. The main issue with the Samba Binary Options managed account service is the lack of real transparency. There are a handful of statements and promises but nothing that really proves that this is a viable opportunity. On top of that, they are dealing with some unregulated brokerages and using the deposit for access model which is getting old. There’s no way that I can recommend this service to any of the binary today readers. Please let me know you think about the service by leaving a comment or review below the article now. John Kane, do you recommend me one managed account in binary?? Hi Phil, not in my experience.